Elizabeth Ave. & Front St.
Do you want to share history, beauty, nature and fun with your family? 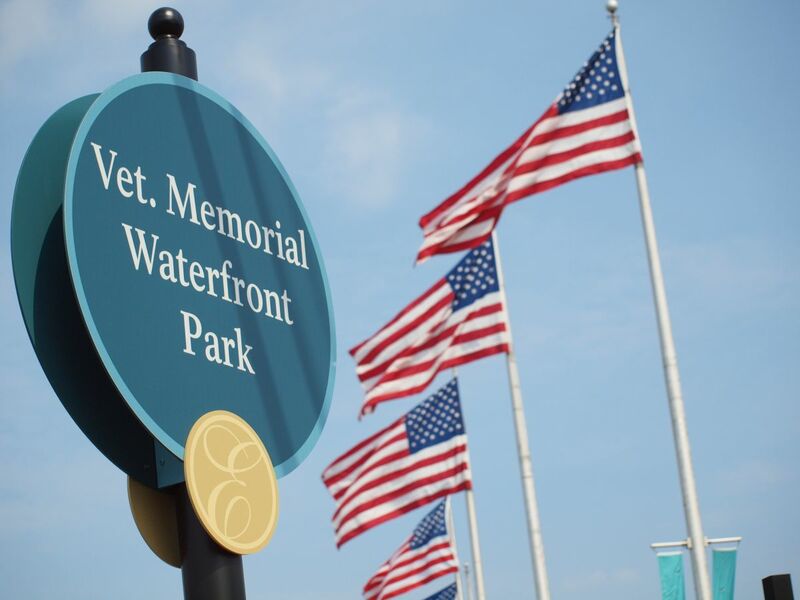 If so, you have to visit Veteran's Memorial Waterfront Park. With a host of amenities and something for everyone, the historic park will not disappoint. 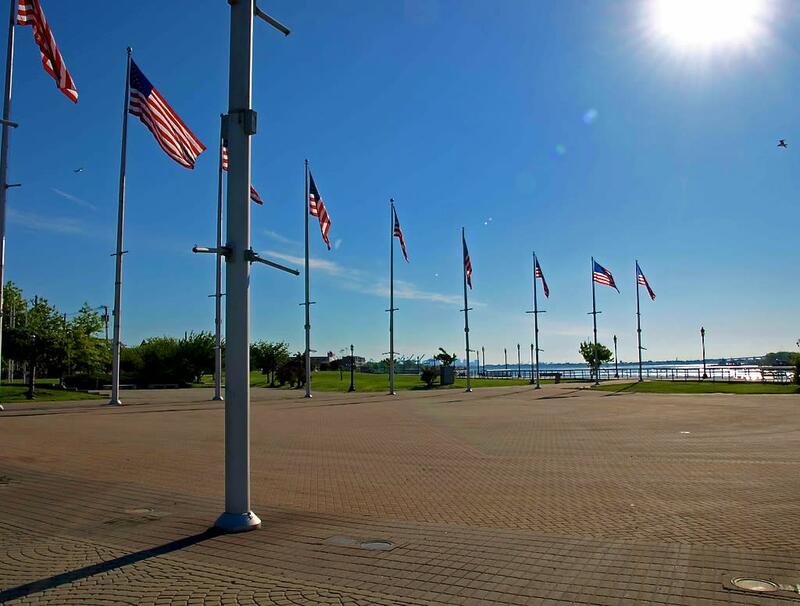 Why Do People Love Veteran's Memorial Waterfront Park? With the New York City skyline visible in the distance, as well as the working cranes of the largest container import / export center on the East Coast, and the beauty of nature all around, what’s not to love? 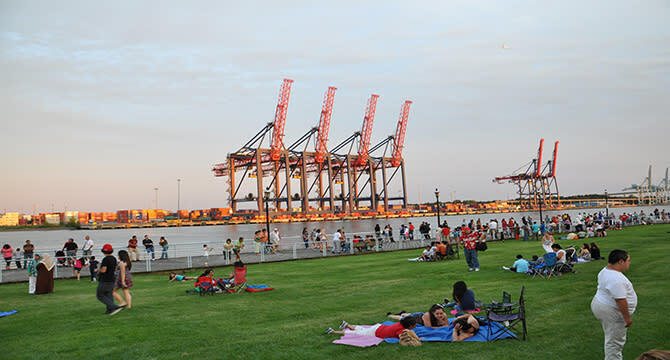 Elizabeth's gorgeous harborfront park has plenty of open spaces to throw a football or frisbee while also being home to an iconic boardwalk that is perfect for biking or skateboarding along the harbor. Another great sitting area in the park is the plaza, where American Flags fly high, and there is plenty of room for a picnic lunch or to watch the barges and boats sail by. 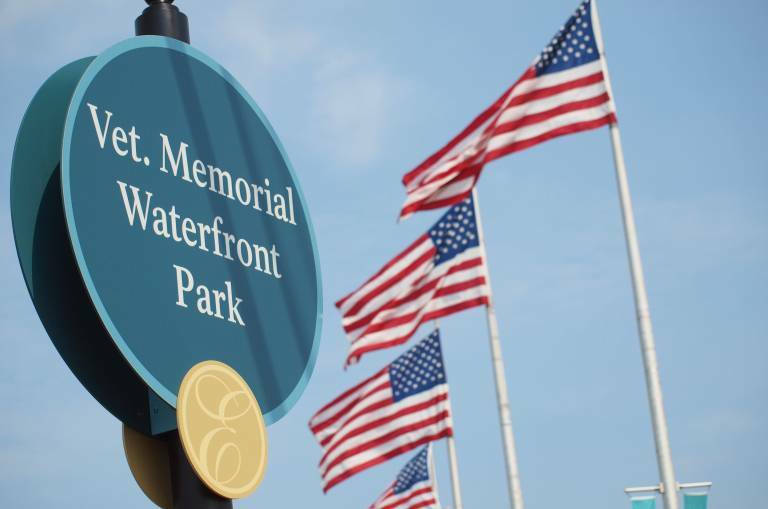 Annual Memorial Day Weekend Waterfront Festival: Bringing in enthusiasts from all over New Jersey, the festival brings rides, food, and music to Elizabeth to kick off summer in style. With attractions like a Ferris wheel, a carousel, spinning cups, and pony rides, along with many age-appropriate games, kids have a blast at the festival. Also, authentic cuisine fills the air with breathtaking aromas as ethnic fare from local Latin and Italian eateries, among others, provide meal options for festival-goers. There is a variety of entertaining music styles pouring out of the main stage speakers to top it all off, so you can get your dance on at any time during the festival. History and Amenities of the Park: Officially dedicated in 1993, the park faces the Arther Kill Waterway. 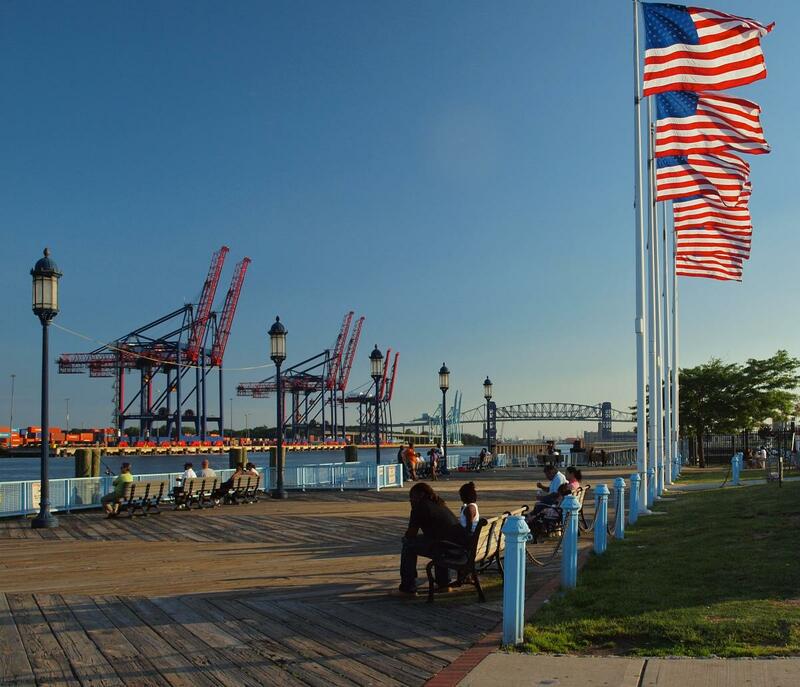 With access on Front Street and Elizabeth Avenue, it borders the beautiful New York Harbor and is home to a fishing pier and a city-run marina, in addition to the boardwalk. The park also has great amenities like chess tables, a new playground structure, plenty of seating, and bike racks. When you want to get back to nature, come visit Veteran's Memorial or one of Elizabeth's other great parks. They are the perfect escape from everyday life.